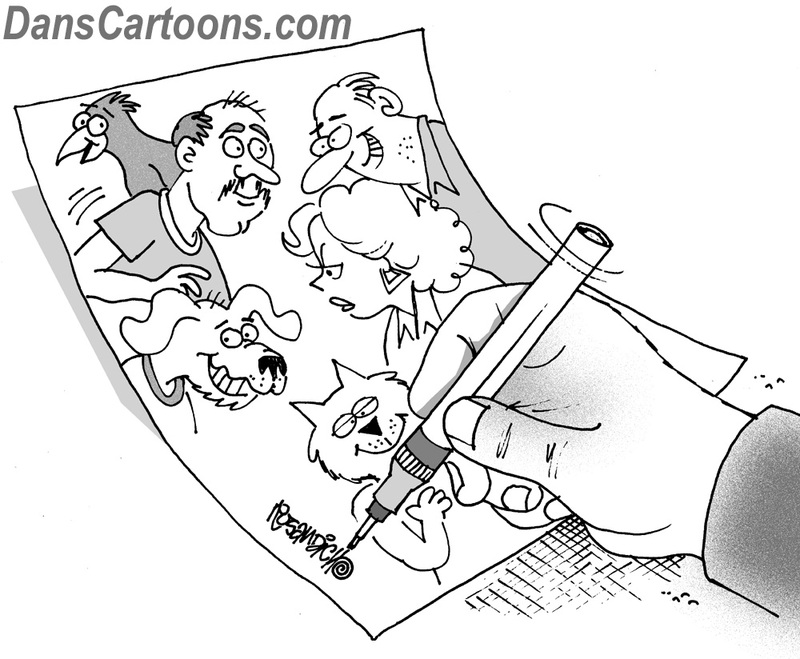 Consequential cartooning has resulted from some recent cartooning self promotional efforts. By this I mean various cartoon related assignments derived from some direct mail campaigns and inquiries I’ve responded to that came in from previous cartoon clients. These consequences resulting in various projects have included promotional emails I have sent to art directors and / or vice presidents of advertising companies asking for custom cartoon illustrations. After attempting to diversify my illustration business and what I offer to other forms of graphic communicators, it is paying off in varying degrees. It’s taken a lot of patience, not to mention some concerted efforts where I’ve mailed out promotional brochures in conjunction with steady email promotions to lists I’ve acquired. 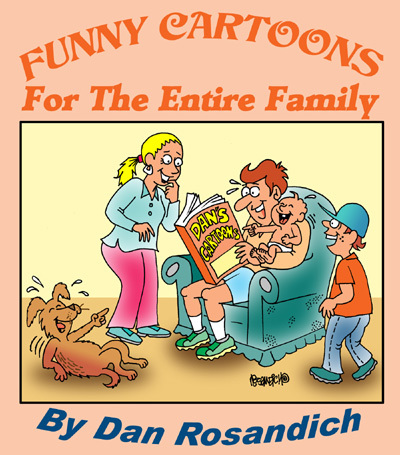 I’d love nothing more that to rely on the steady sales of my cartoons to magazines, but that sector of the publishing world has all but died to the point it has affected the overall gag cartooning business as a whole. Unless you can acquire a contract from a Conde Nast publication like The New Yorker to actually join the ranks of becoming a full fledged New Yorker cartoonist. Or if you can generate good interest and readership of a cartoon panel or comic strip through cartoon syndication and a contractual agreement, you need to diversify your freelance cartoon business. 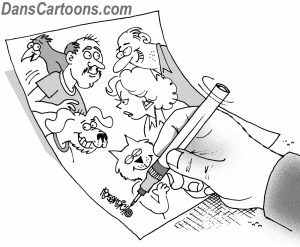 After previously studying the importance of editorial cartoons many years ago, I offered my services to the newspaper market through a lot of self promotion via magazine advertising and direct mail and found clients this way. At the same time, I promoted my cartoons to journalists after reading about the role of cartoons in journalism since journalist bloggers could also use custom cartoons in their articles. So many tangents can be promoted to, when offering your cartooning services now and it will only be through aggressive self promotion that cartoonists will be able to see positive results!